The Kate Edger Educational Charitable Trust is thrilled to announce that Maea Shepherd from Kamo High School in Whangarei is the winner of the Suffrage 125 Competition, for her song and video, Strong Women. 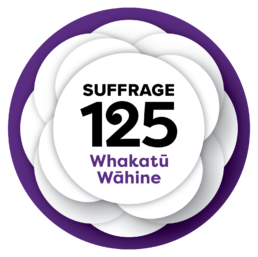 The Suffrage 125 competition was held to recognise all the women and men, Māori and Pākehā, who were involved in the suffrage campaign. Through song, video, poetry and prose, these talented young women in Year 13 from secondary schools throughout the Auckland and Northland regions demonstrated how the suffrage movement relates to the issues that are important in their lives. Entries touched on diverse subjects, from female empowerment, to body image, the gender pay gap, and migration and highlighted the challenges and the successes of women. The Kate Edger Educational Charitable Trust is grateful to all the entrants for their bravery in expressing some very personal thoughts, and to the schools for encouraging such wonderful talent in these young women. The Kate Edger Educational Charitable Trust (KEECT) supports the promotion, advancement and encouragement of women within education, whether it be for research and professional activities, or for artistic and creative activities. The KEECT is one of the biggest supporters of women’s tertiary education in New Zealand, providing financial assistance of over $550,000 to 120 women in the last twelve months. Funding comes from private individuals, corporates as well as from proceeds from Academic Dress Hire.